You’ll find hand-crafted pottery, soaps, jewelry, candies, and other treasures in SoIN shops and stores. Consider supporting these local store owners, artisans and makers on Saturday, November 26 and every day throughout the year. True North 137 E. Market St., Suite 1, New Albany (812) 841-8152 At True North you’ll find housewares, jewelry, ceramics, soaps, other items from independent artisans and designers. True North also carries organic and eco-friendly options, and curated vintage selections. A.J. 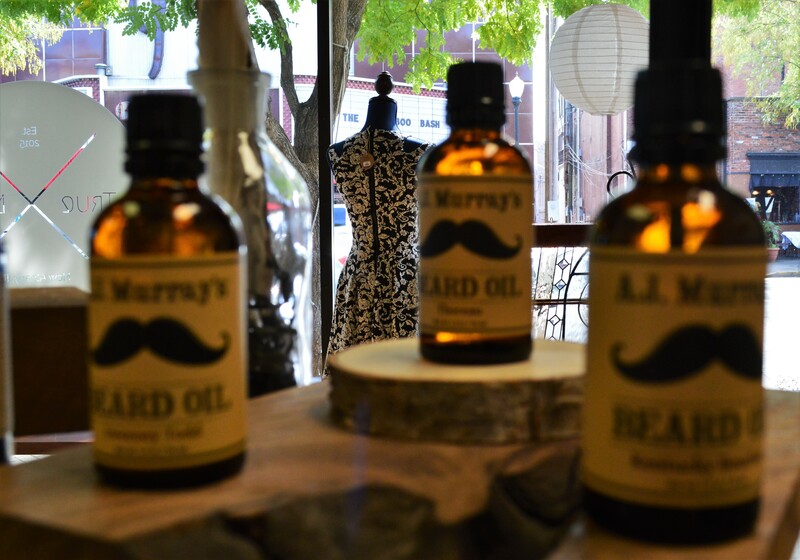 Murray&apos;s beard oil can be found at True North. 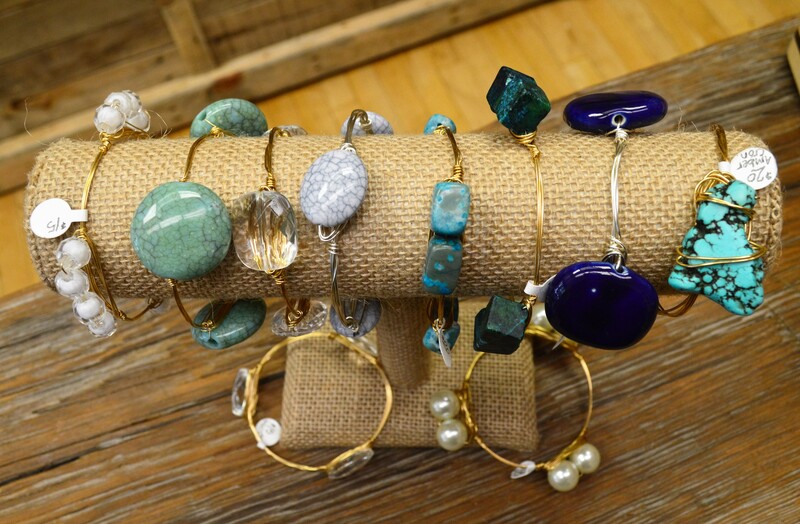 True North carries handcrafted jewelry. With Love: Fudge & Sweets 430 Pearl St., New Albany (812) 946-9070 Satisfy your sweet tooth with decadent homemade fudge, candies, flavored popcorn, and ice cream. 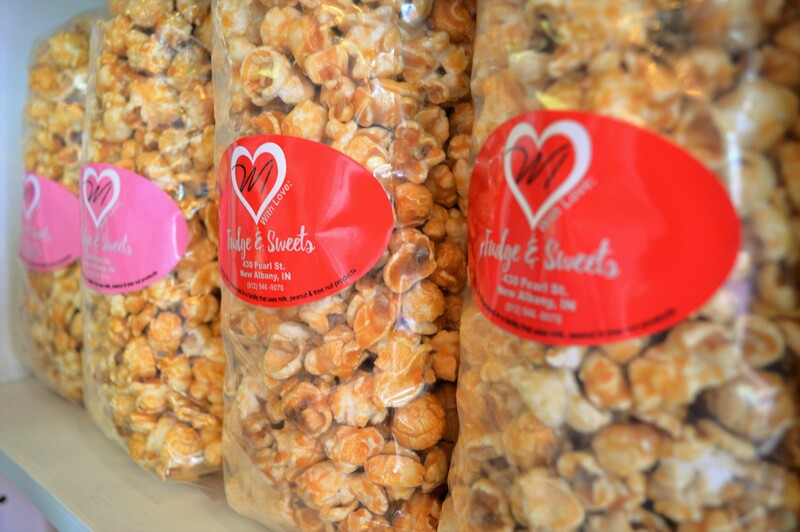 Find your favorite flavored popcorn at With Love: Fudge & Sweets. 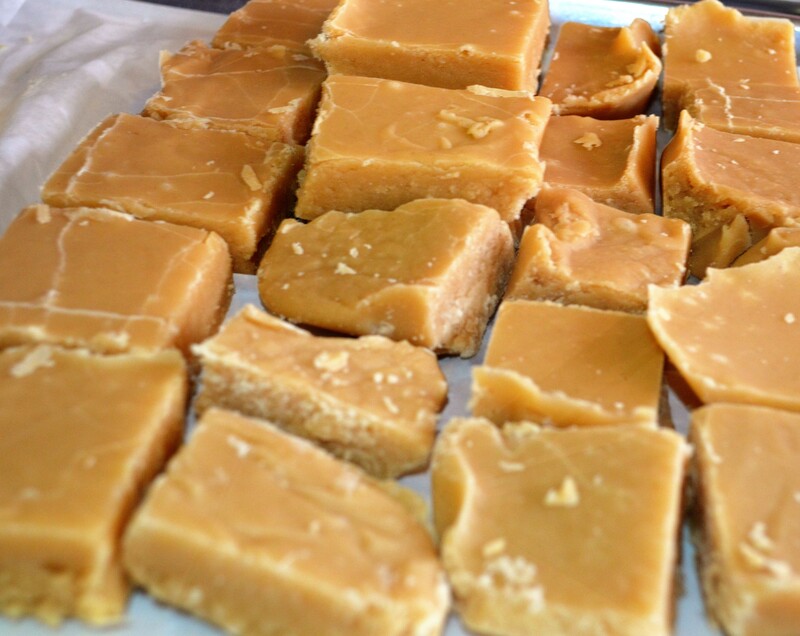 Try Maria Beach&apos;s peanut butter fudge at With Love: Fudge & Sweets. Pearls on Pearl 214 Pearl St., New Albany (502) 558-0150 This veteran-owned store features local artisans’ handmade baskets, soy candles, purses, scarves, jewelry, and other family-owned business’s products. 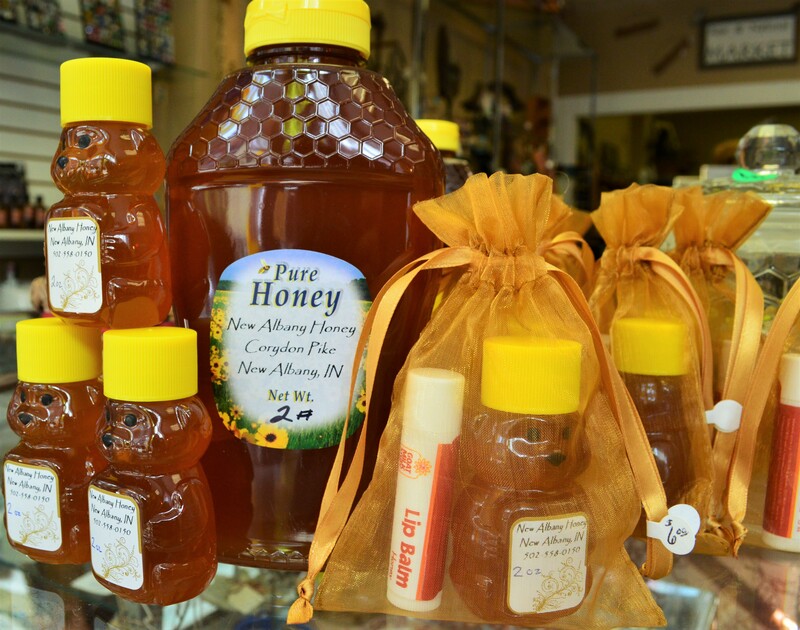 New Albany Honey is a new favorite that’s produced locally. New Albany Honey makes a great gift for the holidays. Derby Dinner Gift Shop (inside Derby Dinner Playhouse) 525 Marriott Dr., Clarksville Derby Dinner Playhouse’s gift shop is a hidden SoIN gem. Did you know Derby Dinner Playhouse actress Janet Essenpreis is also a potter? Her beautiful pottery is for sale in the gift shop. 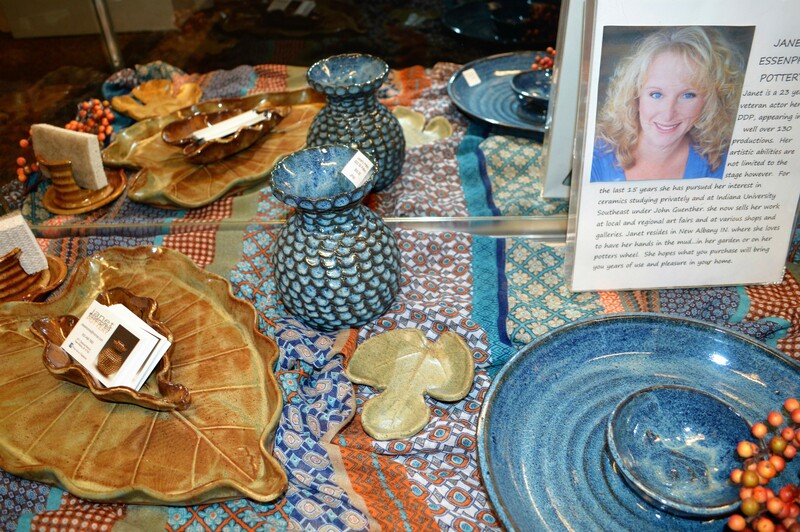 Pottery by Janet Essenpreis is just one of the treasures in the Derby Dinner Playhouse gift shop. Colokial Boutique 219 Pearl St., New Albany (812) 725-1321 Colokial is a fashion-forward boutique, offering women’s clothing and accessories. 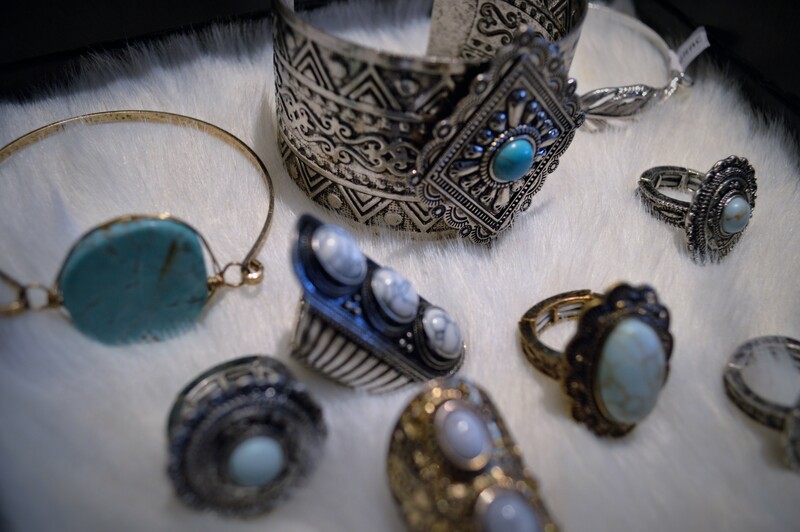 Colokial has an eclectic selection of rings, necklaces, earrings, and bracelets. Sapphire on Spring Boutique 326 Spring St., Jeffersonville (812) 920-0017 Located in “hip-storic” downtown Jeffersonville, Sapphire on Spring Boutique offers the latest in women’s fashion, men and women gifts, and home décor. 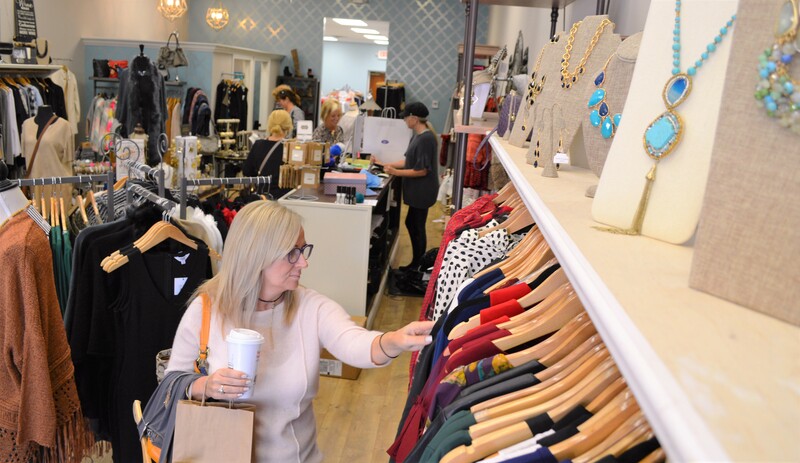 The latest in accessories, dresses, tops, pants, coats, and scarves are found at Sapphire on Spring. Sugar Maples Antiques & Gifts 109 W. Maple St., Jeffersonville (812) 285-1616 Anything vintage, retro, classic, and chic—you’ll find those treasures here for you or your home. 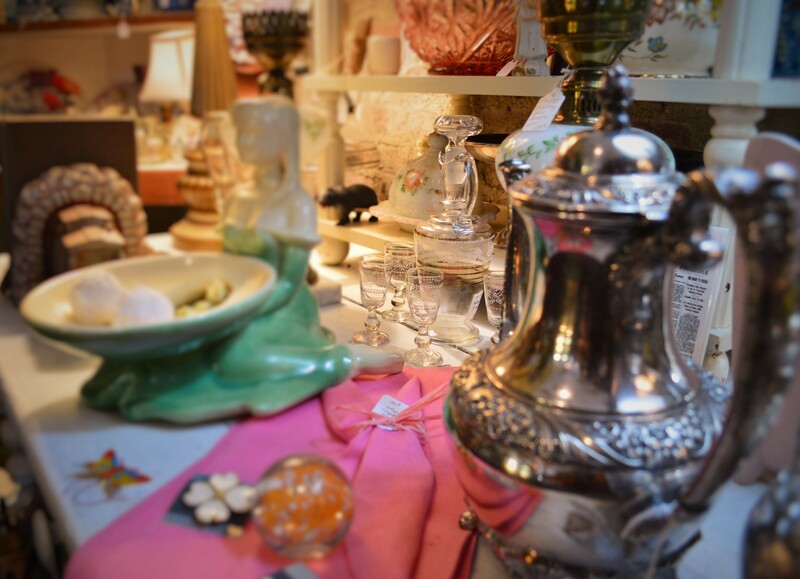 Discover treasures from days gone by at Sugar Maples. 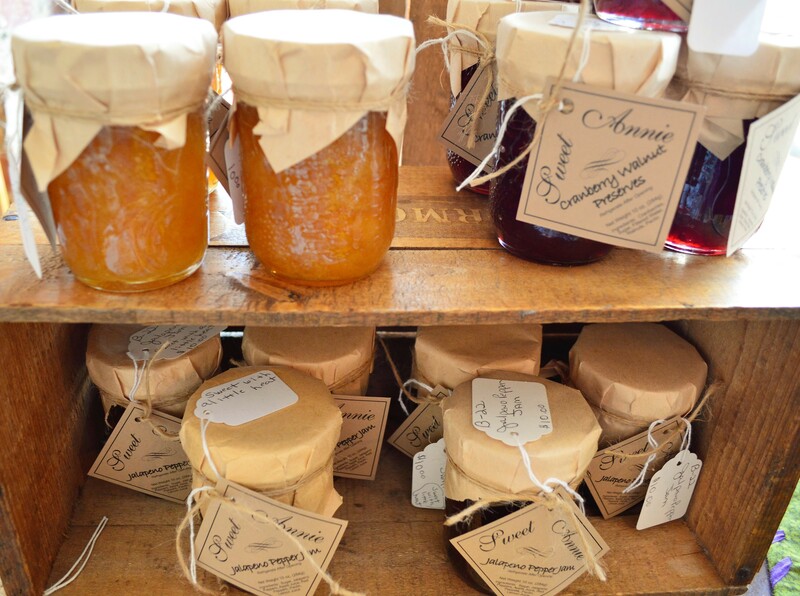 Sweet Annie jams and jellies are made in Jeffersonville, and can be found at Sugar Maples Antiques. Schimpff’s Confectionery & Candy Museum 347 Spring St., Jeffersonville (812) 283-8367 Warren and Jill Schimpff continue to make candies using the same roll molds, copper kettle, and cooling table that Gustav Schimpff did 125 years ago. 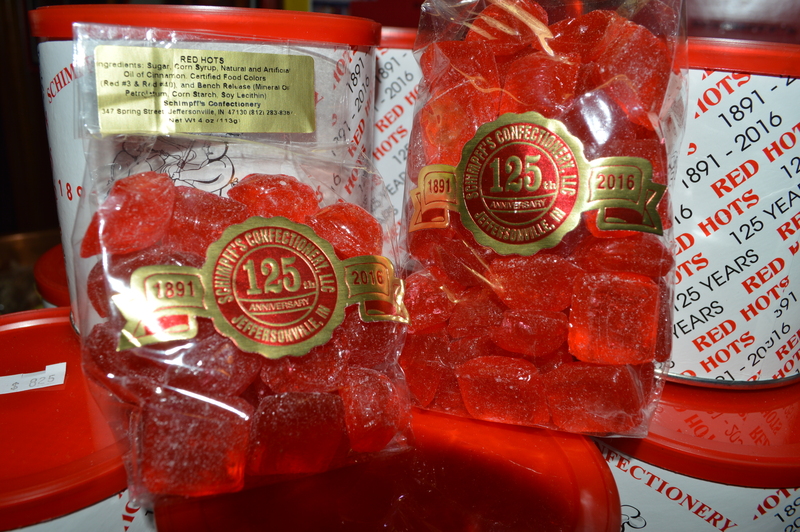 Schimpff&apos;s cinnamon red hots are a favorite from the 125-year-old confectionery. Also popular at Schimpff&apos;s is the Modjeskas- a caramel-covered marshmallow candy named after Madam Helena Modjeska, a Polish actress from the late 1800&apos;s. Turtles are a chocolate-covered pecans and caramel. 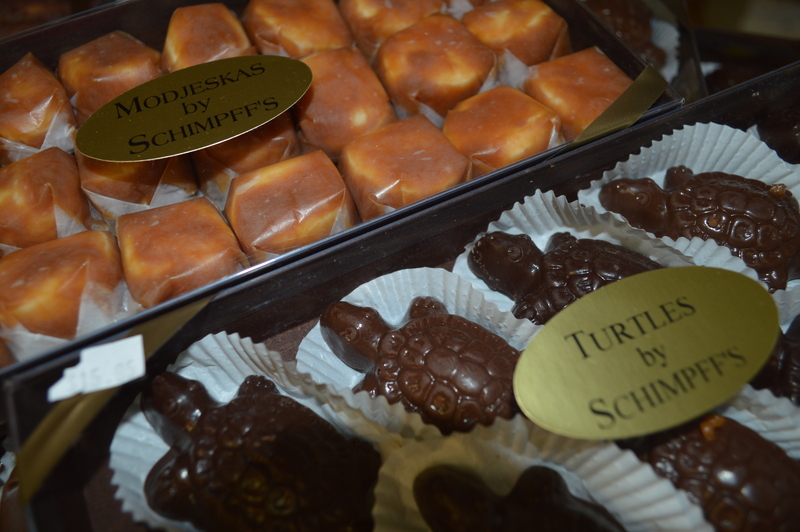 Schimpff&apos;s makes both milk chocolate and dark chocolate turtles. For more shops, gift ideas, and store locations, click here.